how dare you try and save my life? Good Press / Bad Press cycling and cyclists are rarely out of the news. One day it’s an Olympic Gold Rush. The next TUE shame. Cycling sells newspapers and generates clicks. Even an advert about cycling safety makes the headlines. For all the wrong reasons. Cyclists hated it because it patronisingly blamed cyclists (that was lost on me). Non-cyclists hated cyclists for hating the advert trying to save their lives. It also reminded non-cyclists that they had to share the road with cyclists which made them hate it too (and probably hate cyclists more than they already did). The media loved it, it filled a slow news day and gave them the opportunity to further fuel the cyclists v non-cyclists feud that sells newspapers and generates clicks (see what’s going on here?). When did the simple act of riding a bicycle become so hateful? I liked it. There I’ve said it. I didn’t feel persecuted, victimised, ridiculed or shamed. I liked the fact that someone somewhere was looking out for me. That they had spent a large amount of the Department of Transport’s funds on making an advert to highlight cycle-safety. Let’s face it if it been just another dull public safety advert we’d all have ignored it. As I cycled to work and thought about squeezing up the inside of a Tipper Truck to gain 10 maybe 20 valuable seconds on my commute (and get to my desk quicker?!) I thought about that advert. Instead, with it’s hard hitting images at the forefront of my mind, I passed to the right of the big scary truck into the oncoming traffic! At least I would make eye contact with the vehicle that wiped me out. I’m hoping that other cyclists, whether they’re still grinding their teeth in patronised fury or not, thought about the advert too. Maybe the driver of the Tipper Truck thought about it. He doesn’t want to live with killing a cyclist for the rest of his life, or worse lose his job. It’s not gone away yet and it will probably never go away, the knowledge, the feeling that when you catch sight of yourself in the mirror as you head out the door for a ride – there is something very amusing about cycling attire. The shoes that make you walk precariously, less graciously than a pair of 6 inch heels (I’m guessing here), the resulting wobbliness accentuates the lycra-clad form, opening up cyclists to further ridicule. If that wasn’t enough, the whole looks is quite possibly worsened by garish colours, topped off by big sun glasses (even in winter) and a bulbous helmet, which even though it unquestionably saves lives doesn’t help the overall look. Sure, some guys and girls look great in head to toe lycra but most of us don’t. It can be a uniform: I’m a cyclist and proud. Or it can be a statement of intent: I know I’m out-of-shape but I’m doing something about it. Or it can just be the most comfortable and practical clothing to wear on a bike. But it’s our choice. Imagine if we couldn’t choose what we wanted to wear on our bikes. If politicians decreed that wearing lycra is offensive and not in the public interest (there are many I am sure that would argue that this is the case). Thankfully that hasn’t happened yet to the minority group known as: Cyclists. But it is happening in France to Muslim women – probably one of the most subjugated minorities in the world. I’m not wholly sure why, Muslim women are not allowed to enjoy the beach, to sunbathe or swim in the sea whilst wearing a burkhini. I do understand that France is a secular society and that the ban is not national but locally imposed on the beaches of the South of France. I also know that the burkhini was designed to promote inclusion, to allow Muslim Women to join their non-Muslim friends on the beach whilst not falling foul of the religious rules that they abide to. That’s got to be a good thing, right? Instead it is being used to further repress a small minority who need help rather than persecution and humiliation. Surely there are better ways to target Islamic extremism. The ban on the burkhini and the public bullying of the women who wish to wear them by the authorities can only exacerbate rather than cure. Next time I waddle into a pub or cafe in my lycra, sweaty and bulging, attracting the inevitable amused side-glances and giggles, I’ll return the grins with my own, safe in the knowledge that the police are unlikely to force me to publicly remove an item of lycra clothing perceived as undermining national identity. It’s my first commute back on the bike (post carpal tunnel operation, post torn ankle ligaments (official diagnosis)) and just so happens to coincide with National Cycle To Work Day which just so happens to coincide with the hottest day in a September for one hundred years which all amounts to: chaos on the roads. At times the commuter peloton was twenty riders long, the bunch sprint away from the lights fifty strong. Chaos. I’m out of sorts, all over the place. My fitness is down. I’m struggling to chug along at a pace that keeps in front of, up with or simply out of the way of the disorganised and undisciplined commuter road trains that sweep past. As I battle to stay upright I desperately cling to a positive, any positive, my loss of fitness proves that the cycling to work builds and maintains a good base fitness. It’s worth it then, the early morning rush out the door, the daily battle with all the other road users (who hate cyclists – too often we give them good reason), the showering at work, the sweating at your desk, the constant risk of forgetting a shoe or pants – either the English or American meaning of the word, both would be awkward. Losing fitness was expected. I hadn’t anticipated losing my flow, my rhythm, my just knowing what is going to happen next. Cars cut in, cyclist move out, mopeds overtake. I knew all that. But it was taking me time to remember the when, where and how. If I was a first timer embracing National Cycle To Work Day, I’d be terrified. 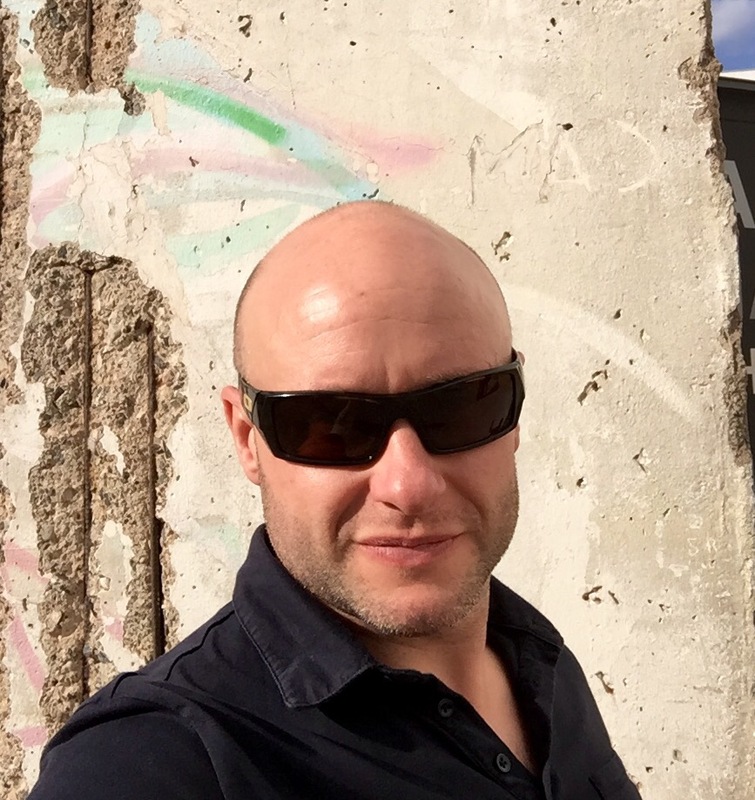 I risked moving out in the wrong place, cutting in too soon, missing the angles, underestimating the incoming speeds – simply getting in the way. Walking down the ramp to the garage under my office I was glad it was over. I was also glad there would be a tomorrow. To do it all again, the blinding sunrise, the mist on the river at Putney, the cool morning air AND the not sweating uncomfortably in a suit on a train. The hotel looked nice enough, attractive décor, pleasant staff, pool, sauna, Jacuzzi, spa – the usual. None of that mattered as we hurriedly pushed through the Skoda girls mobbing reception to get to our bikes. We had a Tour de France to catch and like a very fast train it was heading our way. With only the relatively small, cute even, Col des Montets and the Swiss border between us it was very catchable. Back over Col des Montets Tour catch or not Tour catch (as was the case) spirits were high after the first taste of an alpine descent followed by a quick beer detour into Chamonix before returning to relax around the pool with the Skoda girls and take in the magnificent views of Mont Blanc and its ailing glaciers. Any disappointment of missing Froome & Co race up to the stage finish at Emosson was long forgotten as we tried to concentrate on plans for the next day’s riding. 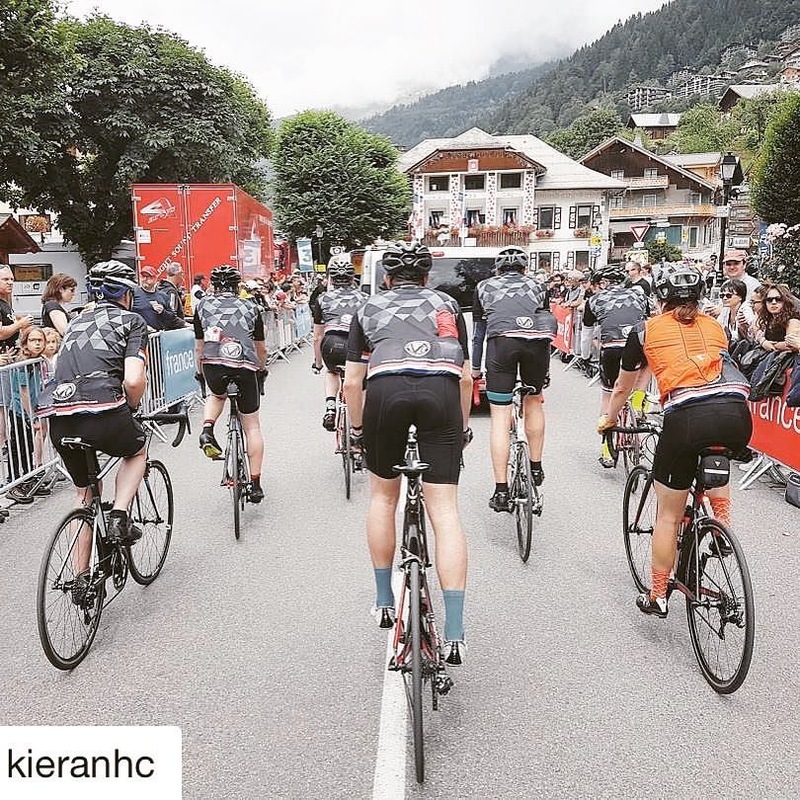 Whilst The Tour riders had the uphill Individual Time Trial to worry about – and being only 17Km long it was a stage that we could realistically complete in full – the BMC headed in the opposite direction to Switzerland (in our vans) passing smoothly through the border (no passports required). Our heads were buzzing with Skoda girls (still) and the logistical conundrum of getting 14 riders, 1 minibus, a van and a car up, down and back up the Col de la Forclaz from Martigny, the apricot growing capital of Switzerland (and maybe of the EFTA). 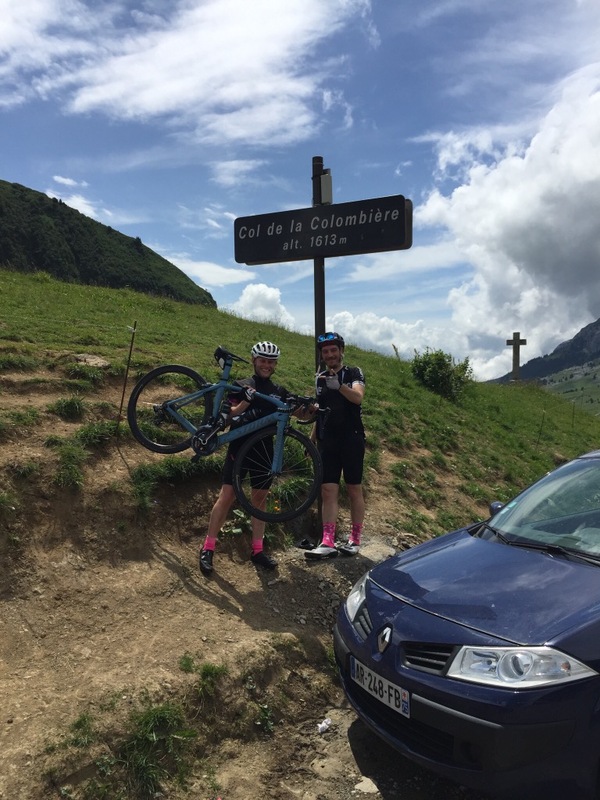 Finally, it was agreed that everyone but Stevo would descend to Martigny on their bikes and he would drive the van down leaving the minibus and 1 car at the top and then on the way back…that’s as far as we got. In true BMC style we’d sort the getting back bit later. After a nervous straight out of the van 1st proper warp-speed alpine descent and with the van parked (the 1 now the bottom of Forclaz if you’ve lost track) we started out for Verbier. This being the Chasing the Tour tour and not a traditional BMC tour the peloton soon splintered – with a high tempo pace set at the front, no doubt to soften up any potential Verbier climb contenders. A truce of sorts was called and we regrouped at the bottom of the climb, then promptly splintered again on the climb as Strava times were selfishly chased. It’s not every day you can go to Verbier for lunch. We earned that lunch. Scorching hot? Yes. Brutally steep? Yes. A baptism of fire for some, a nasty reminder for others but apparently easy for Mrs KHC. Luckily Verbier was the end of the road, with only a gravel road over the top (that only Kiero eyed wistfully), it was back the way we had come. That brutally steep climb was now a devilish descent, awakening our senses – sharpening the eyes, gripping the brakes, tasting flies, smelling Hansford’s brakes and hearing his screams as he hurtled too close to the precipice. Back on the road to Martigny we concocted an unofficial race, with riders attacking (foolishly) off the front at 60kmph only to be pulled back in by the collective will of the game peloton or more likely stopped in their over eager tracks by the damning headwind of truth and fading, retreating back to the shelter of the smirking peloton; until they were ready to go for the breakaway again. Being an unofficial BMC race – there were no official winner. The reward for being first was to try again to solve our earlier conundrum of getting 14 riders and their bikes into a van with only 3 seats back to the top of Forclaz, eventually solved by a handful of the overly-keen tackling the penultimate climb of yesterday’s stage (and one of the worst climbs known to the Tour due to its dreary, unrelenting drags with few hairpins until near the summit, to add character or a much needed centrifugal kick). It was a hot, muggy, devoid of visual stimulus kind of climb. The only interest in the dreary rain was watching the Tour debris clean up-parties removing the evidence that the immortals had climbed the same way the day before, promotional cr#p thrown by the caravan. Whether it was the thunder and lightning that cracked first or the rear half of the peloton but Mrs KHC soon burned the bunch off her back wheel, disappearing fast in the drizzle and low cloud with Stevo (that’s how rumours start…) – chased relentlessly by the Doog. The sarcastically cheering welcome party at the top didn’t provide much comfort either. The other half of the equation had been solved by Hansford’s ingenuity. Having foreseen a circumstance where he could avoid a 13km climb he’d ardently volunteered to be insured on the van. Selflessly he drove the mechanical cheats to the top, blind and shaken around the hairpins in the back of a hot van – just punishment for their cheating. Sensing that Tour was reaching its climax the Skoda girls in the hotel made their move, offering the more easily led members of the BMC, finish line hospitality passes for the day’s stage. There was a steely determination at breakfast that this was the day when we were all definitely catching the Tour, whether it be sipping champagne in hospitality, standing on the side of a wet mountain wearing a plastic bag or at the foot of the day’s final climb (when you’ve underestimated how long it takes to complete 2053m over 3 monster climbs and 100km). The day’s best laid plans lasted all of 2 minutes when the keys to the unlocked minibus disappeared up the mountain (all be it slowly) in Big Carl’s jersey pockets and had to be retrieved. By the time the minibus was secured the BMC were spread out on various roads leading up to maybe Megève, or was it Saint Gervais or quite possibly neither? Maybe the presence of CheeseMap on the mountain had something to do with the directional dispersion. 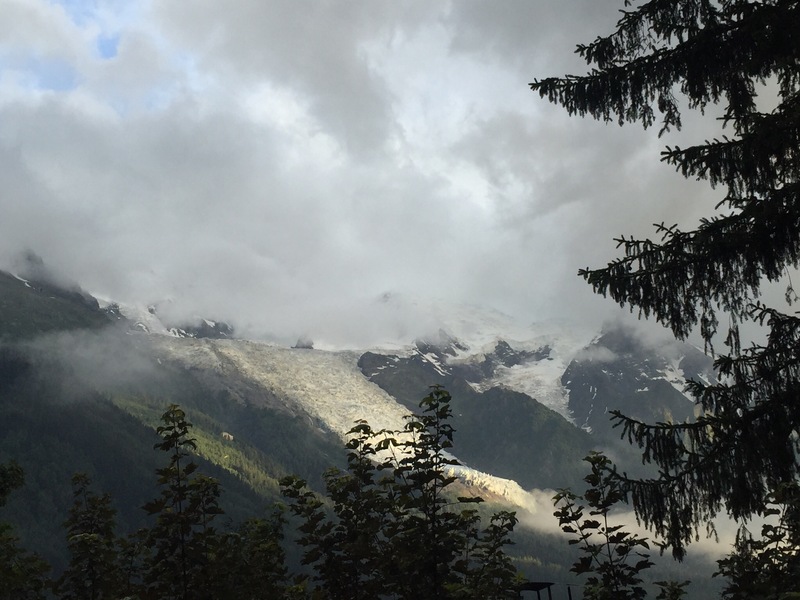 Of course it would all work out in the end – whatever happened we’d all meet in a bar in Saint-Gervais Les Bains, that didn’t even need to be planned for. 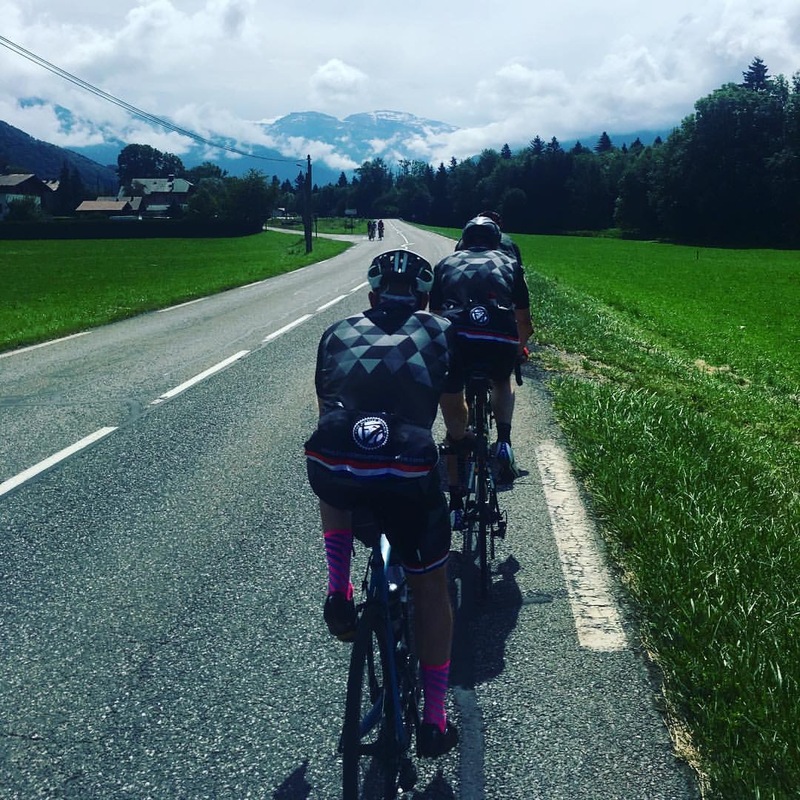 Whether it was planned or not, 3 of the BMC set off on a 3 Col super ride: up to Megève, over Col des Aravis – complete with chalets, cows with cow bells in alpine meadows, through half-recognised ski resorts – ticking all the boxes without shredding the legs, onwards and upwards over Col de la Colombière, the day’s biggie. Whilst the pace on the road was good for the moving average, the time taken to drink coffee, chew on baguettes and gorge on tarts in the col-top cafes was hurting the overall average. As the storm clouds re-gathered and the Tour moved relentlessly towards St Gervais, from the summit top of Colombière the 3 had to lift their game, Miss Daisy Jones had to descend like stone not a feather. The race was on. The solution was obvious. The Doog was put to work on the front, his panting ignored as he dragged the chase group back to St Gervais. Despite some shameless shirking (from this author) they made it to see a Romain Bardet and domestique race pass en-route to deliver a rare French stage victory, followed by battered, bruised and bloodied Chris Froome, jersey ripped but holding on to his third Tour win. That wasn’t the highlight of the day though. That belonged to the Quintana as he got to descend with the BMC back down the mountain to the tour buses (his was the one with the on-board shower but no stop for beers before the hotel). Last day of the Tour proper and last day of Chasing the Tour. The split in the group was well established by now. Roughly along the lines of those who wanted to enjoy themselves and those that wanted to enjoy themselves by hurting themselves a little bit more. There’s more people into this than you might think and the selection evened up into a 60:40 split. 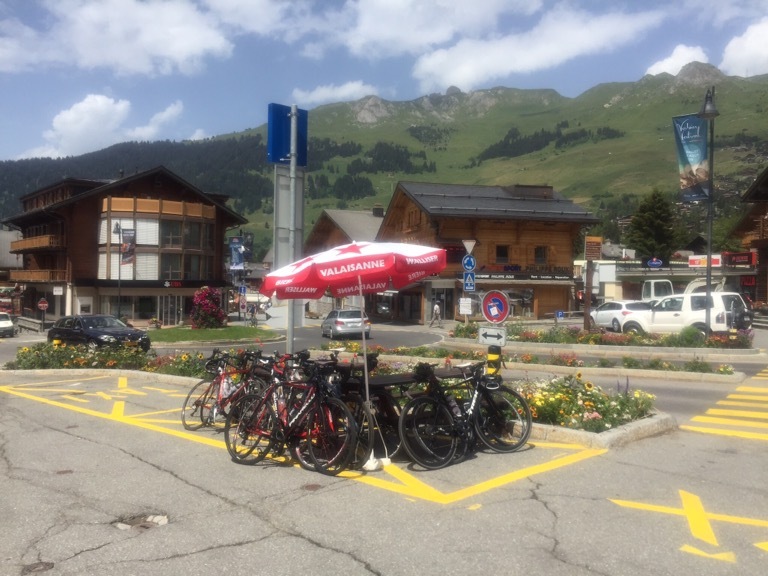 For Team Leisurely Ride there was just the small matter of the notorious Col du Joux Plan before finding a bar to watch the final mountain showdown of the 2016 Tour. As it was the 2 groups had very similar days with the exception that Team Max Mosley had to haul itself up Col de la Ramaz, a nasty climb, steep and spiteful especially through the dark tunnel section but with a quite magnificent open bowl before the true summit providing a 2-mile-wide amphitheatre to watch the tour play out (if you were stopping to watch the Tour that is). 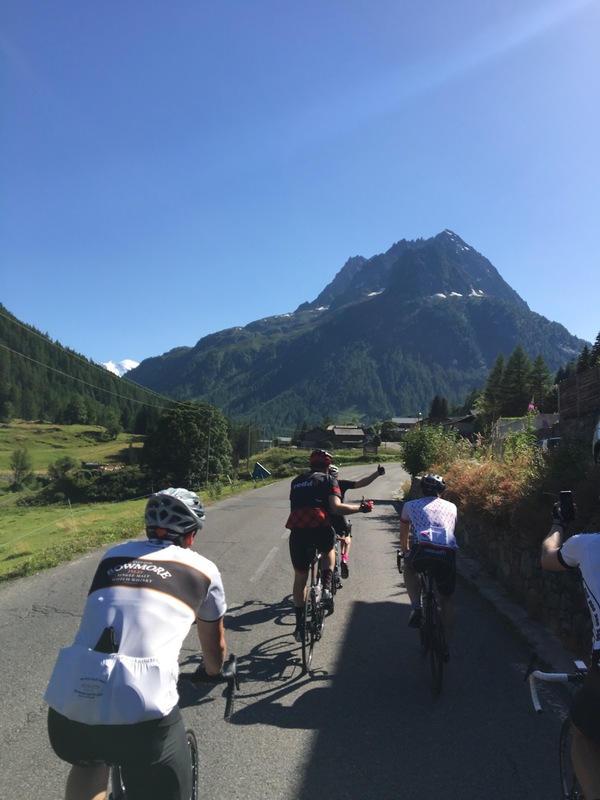 Instead the BMC raced down off Col du Ramaz, a messy thin ribbon of tarmac, rutted, scarred with untidy bitumen repairs mixed in with gravel, greasy white lines and rollercoaster hairpins – steep and banked like a natural velodrome. The race wasn’t a fair one, DrewVo had split, proving once and for all Dad’s descend slower. 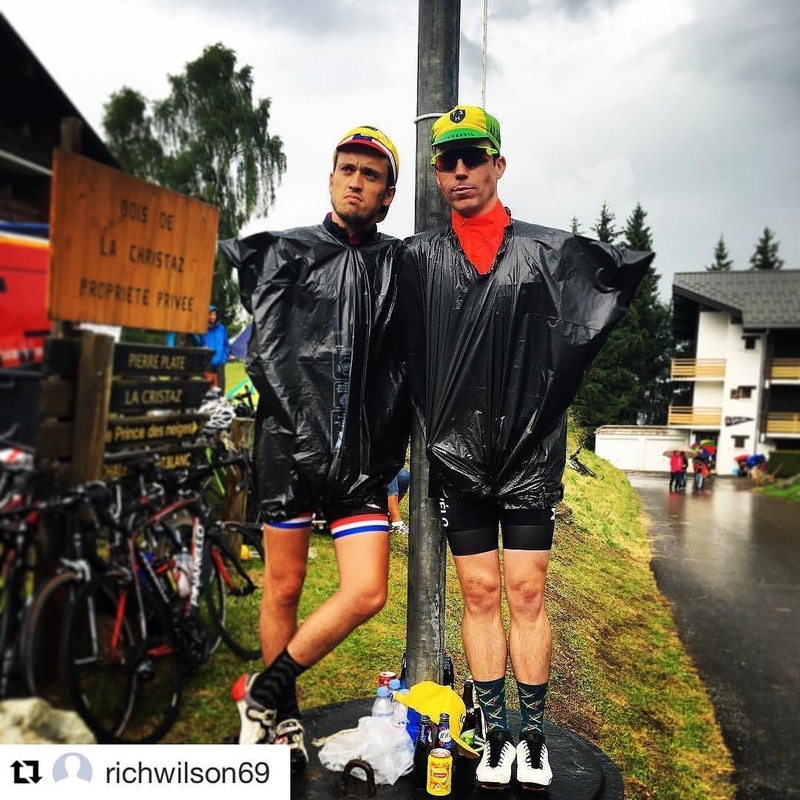 Whereas Team Leisure got to have a jolly old time in a bar in Les Gets, Team Max rode back from Morzine in the rain (there’s a moral in there somewhere…I’m just not sure what it is). Both teams got to descend into Taninges, pace-line like hell to Samoen then crucify themselves painfully on CdJP. Except Stevo who found some new skinny French bike friends to climb with. CdJP is tough, even tougher when the grim faced gendarmes make you cyclo-cross across a muddy ravine in cleats across the summit (wrecking Strava times in the process…the stewards inquiry rumbles on for this one). With the 2016 Tour’s final climb bested there was still it’s final descent to look forward to…except if you were Team Max who were forced to descend in a sadistic thunderstorm at a pace so sensibly slow as to defy gravity, so slow that to date only Descending Miss Daisy Jones had been able to achieve on a consistent basis (whatever the weather). The road down becomes a river; we tip toed around the hairpins until we entered the barriers that marked the last 3km to the finish line. We almost certainly shouldn’t have been. You’re not allowed to drive your car around an F1 circuit before the race starts. Under the gaze of the massed Tour spectators as the Tour closed up its mountain shop for the year, so did we. Crossing the same finish line, roared home by the same crowd (in our dreams). As Froome’s Team Sky steam rolled the opposition into the melting tarmac with a pre-ordained inevitability the BMC showed its always best to get out on your bikes and make your own fun.